Spend the week studying Joshua 24 and Isaiah 6. Consult the commentary provided and any additional study tools to enhance your preparation. Focus on the Main Point. God cares how you live. God used prophets and kings to lead His people out of cycles of disobedience. Above it all, God is in control of history, so we put our hope in Him. Why do people take comfort in having weather alert systems? What purpose do they serve? What is the danger in ignoring a tornado watch or warning? What do you risk? We have weather systems in place to alert and protect us. If a tornado was headed straight for your house, you would probably like to know about it. Living in the southeastern United States, tornado warnings are a part of life, but tornado warnings are only effective if they are followed. After the death of Moses, God’s people were led by at least 42 different kings, many of whom were wicked and did not lead well. As a result, God raised up prophets to warn Israel and Judah of the harmful effects of their continued disobedience. The prophets warned people and knew it was in those people’s best interest to heed their warnings. God cares how you live, and your best life is found by living by faith and hope in Him. HAVE A VOLUNTEER READ JOSHUA 24:1-24 AND JUDGES 17:6. What did Joshua recount to the people? What was the story of the Bible up until this point? How had God guided, provided for, and protected the people of Israel up to this point? How had the people responded to God’s work in and through them? “Choose” and “serve.” Joshua used these words over and over in his directions to the nation of Israel—to choose to serve the one true God in love and faithful obedience, and to deny the gods of the land their fathers worshiped. The people affirmed in verses 16-18 their intent to serve the Lord, and Joshua asked them again to choose, reminding them of the holiness and righteousness of the God they served. Again the people announced their choice to follow the Lord, but the rest of Old Testament history tells us that this is not what they actually did. Within a generation, they had once again lost their way. Is someone in your small group familiar with the book of Judges? How would you summarize what happened in that book? What is the problem in Judges 17:6? What was the result? The problem in Judges was sin. When we do what seems right to us, becoming disconnected from the leadership of God, the result is sin. Israel had rejected the leadership and guidance of the Lord and followed their own wayward hearts. Judges recounts one of the darkest times in the history of Israel and shows us the severe consequences of choosing not to follow God. HAVE A VOLUNTEER READ ISAIAH 6:1-8. After Judges, Israel was led by some good, but many evil, kings. 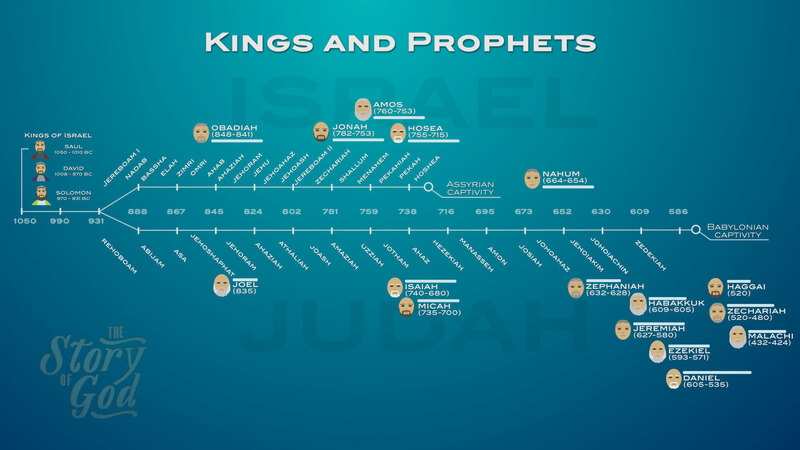 God raised up prophets as His messengers to the kings and to His people in every generation. Isaiah was one such man of God. His call and commissioning illustrate some general points that could be applied to all the other prophets. Describe what Isaiah saw in his vision. From where did his vision come? How did Isaiah respond to God’s call on his life? What does that teach us about Isaiah’s character? How did God empower Isaiah for his prophetic ministry? How does God empower us today? All true prophets were men of God. God used Isaiah, not because he was an extraordinary man, but because he was an exemplary man. Isaiah was an ordinary man who walked with the Lord in such a way that God was able to use him in an extraordinary way. The most important part of who Isaiah was is who God called him to be. God empowered Isaiah to take His message of salvation and judgement to the people He loved. Isaiah looked to God and said, “Here I am, send me” (v. 8). HAVE A VOLUNTEER READ ISAIAH 6:9-13. How did Isaiah’s message speak to the current situation of the people in Israel? Where, in these verses, do you see hope? Where do you see judgement? How does this passage look forward to Jesus’ coming and a future time of renewal? ￼Prophetic messages utilized several common themes: they (1) spoke to the current situation, (2) offered hope, (3) pointed to Jesus, and (4) looked to the end of time. Isaiah was to speak truth to a people unwilling to listen to God in their current situations (v. 9-10). These verses seem to be filled with judgment and condemnation, but at the end of verse 13, we catch a glimpse of hope: ”the holy seed is its stump.” All prophetic messages are filled with hope, because they pointed to the coming King, who would restore all things. Jesus is the holy seed Isaiah spoke about. Jesus is the central theme of the Bible and the hope of all God’s people. Click here to download the timeline PDF. How do you respond when you see people wandering from the Lord and placing their hope in other things that are ultimately unable to save them? What does it look like to be prophetic today? What is the difference between true prophecies of the Spirit and predictions about the future made apart from Him? How can you be certain to always look to Jesus, despite what you see around you? What are some basic spiritual practices that tune our hearts towards King Jesus and the hope He brings? How can we encourage one another day by day to choose to serve the Lord? What is the role of community in helping people obey the Lord? Pray and express to God your desire to choose and follow Him. Thank Him for all the times He has forgiven you and brought you back into His grace. Ask that He would help you choose to live for Him every day. Finally, praise God for providing a reigning and returning King, worthy of all your trust forever. Spend some time reading from the prophets this week. Look for hope that is fulfilled in Jesus Christ. How can you choose to serve God daily? Joshua convened the tribes at Shechem to renew their oath of covenant loyalty (see 8:30–35). The preamble of the covenant identified God and Israel as the parties of the covenant. The historical prologue rehearsed God’s benevolent acts toward Israel. The covenant stipulated the requirements God expected of His vassals. Joshua challenged them to decide whom they would serve: “As for me and my household, we will serve the Lord.”The elders consented and ratified the covenant. Joshua recorded the covenant in the “Book of the Law of God.” This implies that Joshua was contributing to Holy Scripture (see 8:31–34; 23:6). Also Joshua placed a memorial stone under a tree as a witness against the people if they failed the Lord. Centers of personal devotion like Micah’s shrine were outlawed in Deuteronomy 12. The ephod is reminiscent of the idol that Gideon constructed at Ophrah (Jdg. 8:27). The household idols, or “teraphim,” were often associated with divination (Zech. 10:2) and were portable objects of veneration throughout the ancient Near East, although their exact form is unknown. Micah also installed one of his sons to be his priest, in opposition to the officially authorized Levitical priesthood. In those days everyone did whatever he wanted (lit “what was right in his own eyes,” a lifestyle exemplified by Samson). The author may have been saying the lawlessness was because there was no king in Israel. Alternatively the author—who was writing this much later, and had seen how immorally Israel could function under a wicked king—may have been saying that even without a king to lead them astray, the people behaved atrociously all on their own. Isaiah 1–5 describes how God’s people rejected their “Holy One” (1:4; 5:24). In Isaiah 6 the prophet tells of his face-to-face encounter with this Holy God. In the year of King Uzziah’s death (740 B.C.) Isaiah received a vision of the real King, the Lord, seated on His heavenly throne. Seraphs surrounded Him, chanting “Holy, holy, holy is the Lord Almighty.” Overwhelmed by God’s splendor, Isaiah acknowledged his and his people’s sinful condition. After Isaiah was symbolically purified, the Lord commissioned him as a messenger to His spiritually insensitive people. He was to preach until judgment swept through the land and the people were carried into exile, leaving only a remnant.